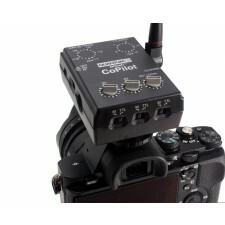 Photographers can now trigger and quickly set ratios for three groups of radio controlled Quantum Qflash. 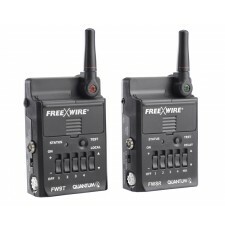 The FW8R & FW9T are available as an economical set of one FreeXwire transmitter FW9T and one FreeXwire receiver FW8R, including one basic #434 sync cable. 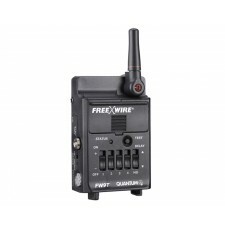 Hotshoe adaptor for the FreeXwire transmitter. Fits FW10W and FW9T. 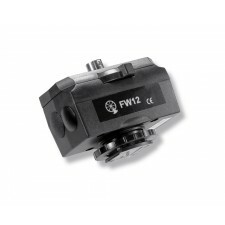 Quantum FreeXwire FW25 Camera Mount for FW9T / FW10W. 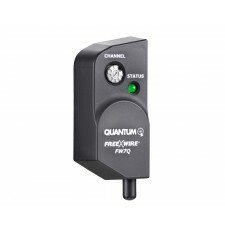 Designed Specifically for Quantum Qflash T5d-R and X5d-R Plugs directly in side of Qflash. Small, lightweight, requires neither batteries nor cables. 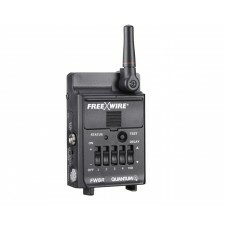 FreeXwire Transmitter ONLY - The FW8R & FW9T are available as an economical set (FW89) consisting of one FreeXwire transmitter FW9T and one FreeXwire receiver FW8R, including one basic #434 sync cable. 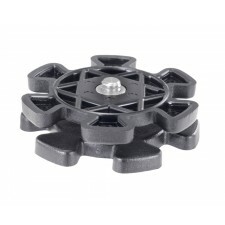 Qflash PILOT, provides all the features of the TRIO without the flash head. 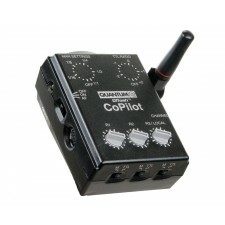 The self-powered PILOT commands remote Qflash, requires no external power pack and mounts to a hot shoe.